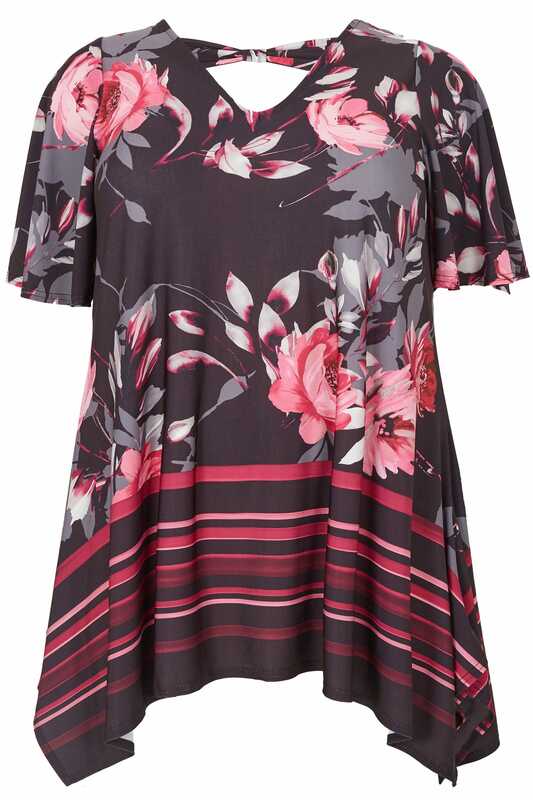 Introduce mixed prints to your wardrobe this season with this stylish floral and striped top. 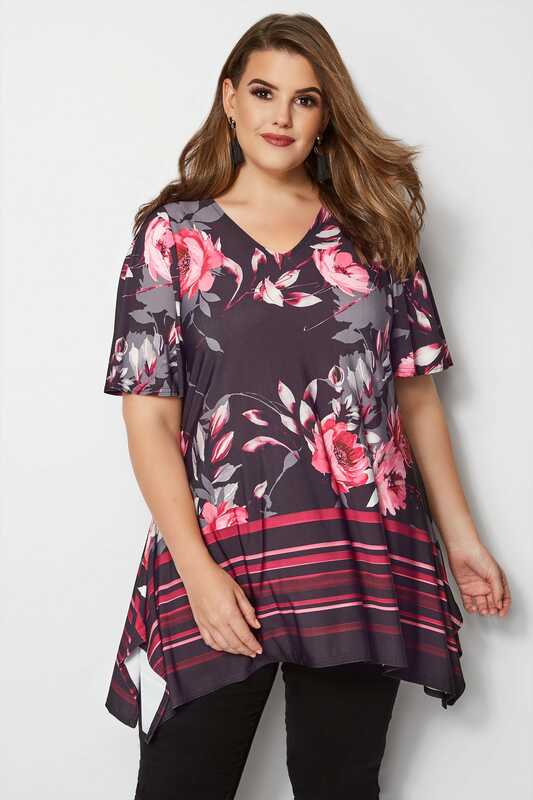 Made from a comfortable stretch jersey fabric, it features a flattering hanky hem, chic bow detail to the back and soft floaty short sleeves. Easy to dress up for an evening date, simply style with dark denim and a pair of mules for effortless chic appeal. 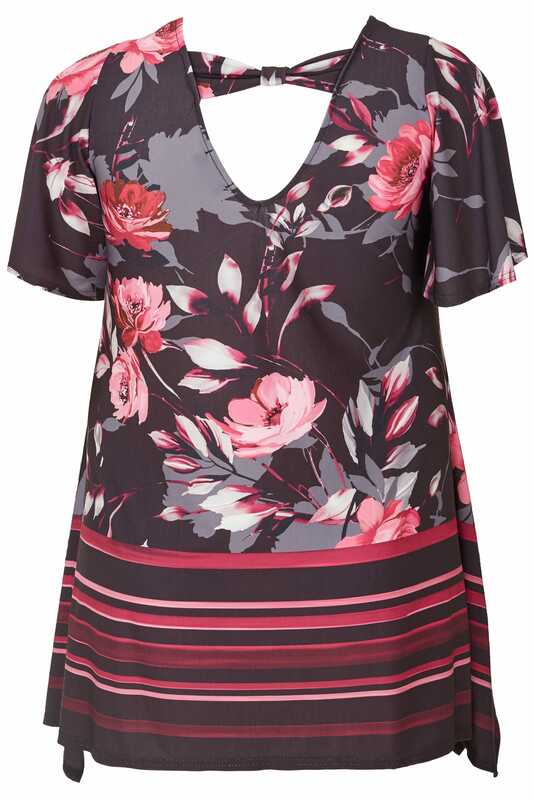 Totally on-trend for this season, we are loving the mixed print design on this top!